Too much time and money is wasted every quarter with yet another governance, risk management or compliance management program. Financial executives are burdened with multiple budget requests for these programs and the clear lack of integration with the strategic management of the firm. Business operators feel burdened by multiple information requests and mandates from various headquarter silos. 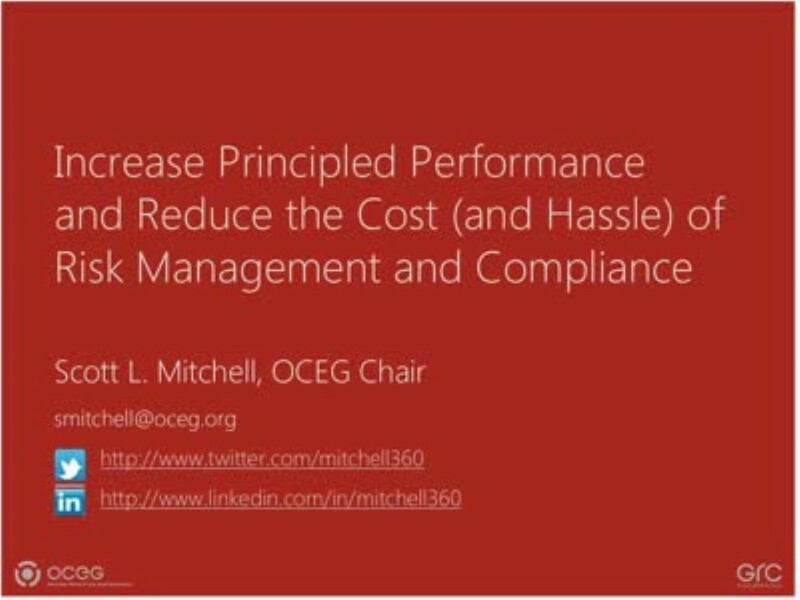 In this session, jointly offered by OCEG and Financial Executives International (FEI), Mr. Scott L. Mitchell, chair of OCEG, presents Principled Performance — a modern approach to modern business challenges. Principled Performance helps an organization reliably achieve objectives while addressing uncertainty and acting with integrity. This approach integrates the governance, assurance and management of performance, risk and compliance (more commonly known as GRC).